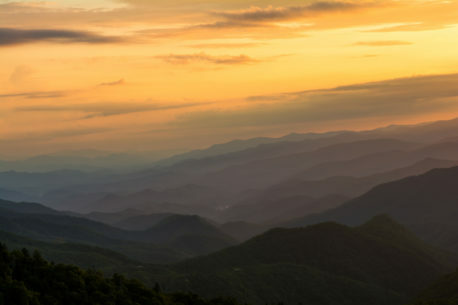 From the Woolback Overlook along the Blue Ridge Parkway you can see Cherokee, NC and the casino in the lower left portion. One things I really like about this location though, is that you can see the rise of the Great Smoky Mountains. The smoky's gradually get higher and this is one of the few spots you can really see that. My horizon is not crooked, I really wanted to show how intense the rise actually is.